Amphetamines; Barbiturates; Benzodiazepines; Cannabinoids; Cocaine; Methadone; Opiates; Phencyclidines; Ethanol; Oxycodone; Burprenorphine. His results are always normal/appropriate (one prescribed RX) so why subject him to this belittling ritual? Is this suspicion-based testing based on his service in Vietnam perhaps? In Wisconsin, Gov. Walker wants to conduct drug testing for state unemployment benefits as is practiced in some other states. What next? There can be valid reasons for the VA to test various drug panels since some physicians may be over-dosing patients (LINK) or if patients aren’t taking their medication. But still, the cost to state taxpayers of these bodily-fluid searches is considerable (LINK) and one can’t help but think that the VA could better spend its limited dollars in more useful ways to help veterans rather than bother veterans with drug tests (random or routine) without good cause. The ACLU has up-to-date information if you wish to consider the ramifications of drug testing vis-a-vis our constitutional rights. Has anyone ever declined a VA drug test? I wonder what punishment would be meted out if so. 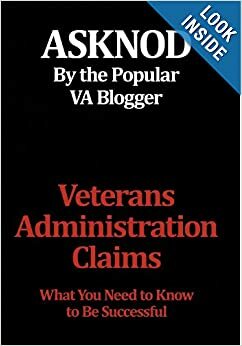 This entry was posted in Guest authors, Gulf War Issues, Medical News, VA Medical Mysteries Explained, vA news, VA statistics and tagged ASKNOD BOOK, asknod.org, asknod@wordpress.com, Disabled Veteran, DIY vA Claims, Gulf War Claims Help, Gulf War Vets Help, HCV, HCV Veterans, HCVETS, Help with vA Claims, Help with vA HCV Claims., Helping Veterans, Jetguns, Korean War Vets Help, Service Connection, VA claims, vA CLAIMS FOR PTSD, VA HCV Claims Help, VA Medical Care, VARO Information, Veterans Benefits, Veterans claims help, Vietnam Veterans Claims Help.. Bookmark the permalink. They use them against them, to build their percentages they can quote in studies. To see whether they’re taking the narcotic meds prescribed to them and to deny treatment. On a letter sent to the reporter who did the Newsweek story, the VA said that veterans with alcohol or substance use are judged as being “unable to adhere to treatment”. 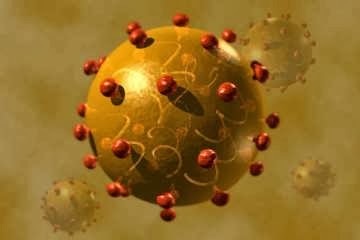 Of 180,000 veterans who have been diagnosed with Hep C, only 108,810 are considered treatment candidates. All these puzzling actions. Missouri spends almost $340,000 to drug test TANF recipients and catches, get this, 48 drug failures. That $340K would have bought a lot of food. Government insanity everywhere. The VA is fence sitting on the subject of MMJ but not sure about any legalities involved for the other drugs. Seek out legal advice on this one for sure. It appears, at least on the surface, to be out of bounds but just not sure. The answer–must one submit provide urine–is probably in some VA manual. The point is, if anyone who gets services/money from the government must get drug tested, shouldn’t everyone, such as all gov. employees, have to get the same drug tests regularly? Like Sec. Bob, etc…on a regular basis? The cost would be insane of course.